". . . I write so that you may know how you ought to conduct yourself in . . . the church of the living God, the pillar and ground of the truth" (1 Timothy 3:15). 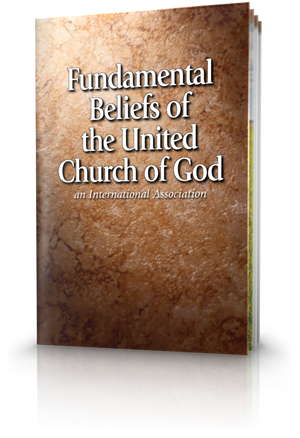 In this booklet we examine the fruits Jesus and His apostles said would identify His Church. We look at the contrasting fruits that identify those who are influenced by a different spirit and preach a different gospel. We will learn, not from human tradition or opinion but directly from God's Word, how we can distinguish "the church of the living God" (1 Timothy 3:15) from those who follow "false prophets" in sheep's clothing. "This is the covenant that I will make with them after those days, says the Lord: I will put my laws in their hearts, and I will write them on their minds" (Hebrews 10:16, New Revised Standard Version). 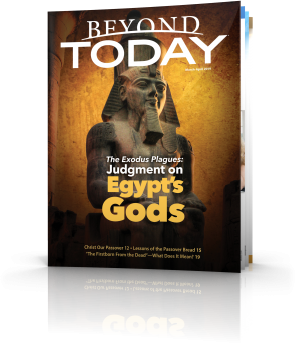 Does the New Covenant negate Old Testament law and do away with God's direction to obey His Ten Commandments and other laws? The belief that it does has long been a popular teaching in traditional Christianity. We'll thoroughly examine this question in this booklet. Thanks, your messages are all so inspiring and SO correct. Everyday Christianity seems to have lost the plot along the way. Your grasp makes the best sense. I have just discovered ucg and I have a question regarding the Holy Spirit. How does this work in comparison to praying and individually asking for the Holy Spirit? In the Bible we are taught to ask. I know that there is reference to laying of hands and the Holy Spirit being imparted, but can you really say that this is 100% of the time.. or possibly only in special cases? Since God knows the heart, not man. And many people, as we know, get baptised for the wrong reasons (like religious pressures). So how would it be possible, through the laying of hands to impart the gift of the Holy Spirit, if God KNOWS the heart isn’t right. Yes, the Holy Spirit can guide us, and is around us, speaks to us etc., but once we are FILLED with the Holy Spirit, it’s a different story. Then we have a greater power in Christ our Lord and a closer relationship with God. I think it would be good to convey the complete truth about this matter, that not only through the laying of hands can you, or do you receive the Holy Spirit, as God imparts this gift, not people. He can use people of course, if HE decides to give the gift, but not just because one is baptised and prayed for. Thank you for your questions concerning the Holy Spirit of God. Although God may choose to deal with people in any way He chooses, His biblical teaching is that baptism and the laying on of hands is a requirement before receiving His Holy Spirit in this New Covenant era. Hopefully the following information will be of help to you in considering this subject. You have indicated that one may receive the Holy Spirit of God without baptism and the laying on of hands. You may be referring to Luke 11:13 which says: If you then, being evil, know how to give good gifts to your children, how much more will your heavenly Father give the Holy Spirit to those who ask Him! This scripture must be read in context of what God reveals to us under the New Covenant teachings. The scripture is of course correct, but other scriptures set the parameters of the conditions applicable. In Luke 11:1-13, Jesus is speaking to His disciples who would later become the apostles and would lead the Church that Jesus was forming, He being the Head of the Church (Ephesians 5:23). They asked Him how to pray and Jesus answered and also showed them that they should ask for God’s Spirit with perseverance (other scriptures show the Spirit was to be used to benefit others and to do the work of God). However at the time of this incident, the Spirit had not been given (John 7:39). The admonitions that Jesus was giving were for those present who would become leaders of His future Church. Ephesians 4:4-7, 11-16 is instructive in showing that the Church is the vehicle that Jesus Christ works through today which includes the proclamation of the true gospel of the coming Kingdom of God (Mark 16:15,16). These verses in Ephesians 4 also show that those called into the Church work together to achieve the will of God. There is no such concept as an individual christian separate from the Body of Christ in the book of Ephesians or elsewhere. Nor is there a concept of many churches (Ephesians 4:4, Colossians 3:15). God through His Holy Word (the bible), teaches that in this New Covenant era, there is only one process in which we can become part of this spiritual Body. This process is explained biblically below. If those God is calling into His Church follow this process and stay faithful to the end, they will be resurrected into the Father’s eternal spiritual family at Christ’s second coming (1 Thessalonians 4:16), as the firstborn of God’s spiritual creation. This is called the first resurrection. Most will follow this same path to salvation during the Millennial reign of Jesus Christ, when Satan the deceiver will not be around. In addition, those who have not been given their chance for salvation in this age of Satan’s deception on the earth, will be given their chance in the second resurrection, which is a resurrection to physical life (Ezekiel 37). God will give all mankind a clear opportunity for salvation at some point of time in their lives which is a great blessing to know. However, all this does not preclude God also helping those who are not being called at this time or in this age today. He can still answer their prayers if they come to Him humbly and in accordance with their understanding and faith. God can help them in their needs (and in overcoming addictions as you mentioned). God is an active hands-on God and can prepare people through their lives until he actually opens their minds fully to the truths of the bible — at which time they can then understand what is required of them to become His begotten children (1 John 5:18 ASV). God helping people in this age through His Holy Spirit is a completely different situation to the Father calling someone now to be in His spiritual family for eternity. You mentioned that a person may be baptised and have hands laid on them for the wrong reasons. This is correct. Baptism is an outward sign of inner repentance and conversion. If a person has not been called and has not repented, God will not grant His Holy Spirit, even though they have been baptised and had hands laid upon them. In other words, the ministry who lay hands on someone, do not themselves grant the Holy Spirit as you also may have suggested, only God can do that. But it is a requirement of God that a person coming into His Body (the Church), has hands laid upon them if they want to be begotten of the Holy Spirit and become part of His Church, His Body on this earth today. By doing this, the person is also acknowledging that God works through His one spiritual Church as it says in Ephesians chapter 4. Christ also warns that there are many false churches peddling a non-biblical brand of christianity (Matthew 24:11, 24, 7:15, 2 Peter 2:1) and teaching a different gospel (2 Corinthians 11:4, Galatians 1:6). In the final summary, God’s Word must be our guide, not man’s traditions and reasonings. The New Testament shows that there are four major steps which need to take place to receive God’s Holy Spirit in the New Covenant era and I would like to elaborate on these four steps. STEP 1 - We must first be called by God. John 6:44 44 "No one can come to Me unless the Father who sent Me draws him; and I will raise him up at the last day. From the time when Adam and Eve disobeyed God, the human family has been cut off from access to the gift of eternal life (Genesis 3:24). From that point, the human family has lived and died according to human understanding and the influences of the god of this world, Satan. The Old Testament is an historical record of God’s dealings with human beings and, apart from a few of God’s servants in Old Testament times, it was not until Christ came and died for the sins of the world that God again provided access to eternal life – through the indwelling of the Holy Spirit. But, in this era, access to the gift of the Holy Spirit is limited to those whom God the Father chooses to draw to Christ. The Scriptures refer to our being drawn by God the Father to Christ as a calling – a holy heavenly calling. It is God the Father who chooses whom He will call to Christ, and when He will call them. Not all are being called during this age. The timing of the calling of each person to Christ is in His hands. 1 Corinthians 2:10-12 10 But God has revealed them to us through His Spirit. For the Spirit searches all things, yes, the deep things of God. 11 For what man knows the things of a man except the spirit of the man which is in him? Even so no one knows the things of God except the Spirit of God. 12 Now we have received, not the spirit of the world, but the Spirit who is from God, that we might know the things that have been freely given to us by God. Only by and through the Spirit of God can we understand the Word of God in which the things of God are recorded. Through God’s calling, the Word of God – the Bible – takes on a whole new meaning. A quiet miracle takes place in our minds. We develop a thirst to understand the Bible. And there are new challenges to face. In this part of the process, God’s Holy Spirit works with our minds, rather than being part of us. STEP 2 - We must repent and have faith (repent means to change direction — to become fully committed to God). The calling of God requires a response from each person drawn by the Father to Christ. As beings of free choice, we can respond to this calling, or we can reject it. The response that God is looking for is repentance. Repentance means ‘changing direction’ so that we are now fully committed to God and the instructions in His Word. Repentance simply means to stop doing what is wrong and start living in harmony with God’s ways and His laws. We also develop the assurance that through faith in Christ’s sacrifice we are forgiven by God, the death penalty for our sins has been paid in our stead, and we are brought into a right relationship with God the Father and with Jesus Christ. 2 Peter 3:9 9 The Lord is ….. long suffering towards us, not willing that any should perish but that all should come to repentance. Mark 1:14 14 Now after John was put in prison, Jesus came to Galilee, preaching the gospel of the kingdom of God 15 and saying, “The time is fulfilled, and the kingdom of God is at hand. Repent, and believe in the gospel." STEP 3 - We must be baptised. Acts 2:36-38 36 “Therefore let all the house of Israel know assuredly that God has made this Jesus, whom you crucified, both Lord and Christ.” 37 Now when they heard this, they were cut to the heart, and said to Peter and the rest of the apostles, “Men and brethren, what shall we do? 38 Then Peter said to them, "Repent, and let every one of you be baptized in the name of Jesus Christ for the remission of sins; and you shall receive the gift of the Holy Spirit. When the Bible refers to baptism, it means to be totally immersed in water. When a person is baptised, he or she goes completely under water which is symbolic of a deeper meaning. Baptism is an outward sign of an inward change of heart and mind. Baptism pictures a death, a burial, and a resurrection. In baptism, as we go under the water, we are symbolically burying the old former ways; we are putting to death the self and its demands, and rising out of the water to a new way of life – God’s way of life. This is the process God has ordained. Man cannot negate what God has purposed. God’s Church follows carefully God’s instructions on these matters. Mark 16: 15-16 15 And He said to them, "Go into all the world and preach the gospel to every creature. 16 "He who believes and is baptized will be saved; but he who does not believe will be condemned. Belief or faith by itself is not enough. Baptism is required for salvation. Baptism is part of God’s instructions and is part of the process to receive God’s Holy Spirit. “He who believes and is baptised will be saved” said Jesus. STEP 4 - We must have the laying on of hands by the ministry. In Acts 8 we have the example of people who were baptised but did not receive the Spirit of God until hands were laid on them by the ministry. Acts 8: 4-8 4 Therefore those who were scattered went everywhere preaching the word 5 Then Philip went down to the city of Samaria and preached Christ to them. 6 And the multitudes with one accord heeded the things spoken by Philip, hearing and seeing the miracles which he did. 7 For unclean spirits, crying with a loud voice, came out of many who were possessed; and many who were paralyzed and lame were healed. 8 And there was great joy in that city. Acts 8:14-17 14 Now when the apostles who were at Jerusalem heard that Samaria had received the word of God, they sent Peter and John to them, 15 who, when they had come down, prayed for them that they might receive the Holy Spirit. 16 For as yet He had fallen upon none of them. They had only been baptized in the name of the Lord Jesus. 17 Then they laid hands on them, and they received the Holy Spirit. As explained by the above verses, to receive the Holy Spirit of God, baptism was not enough. The laying on of hands by God’s ministry was required. We follow this example today. Following baptism, the minister lays his hands on the newly baptised person and prays that God will grant that person the gift of the Holy Spirit to dwell in them — as the down payment, the guarantee of eternal life. There is an assumption among some that basically anyone can lay hands on a newly baptised person, or that the congregation, or a group from a congregation, can lay hands on a newly baptised person and the Holy Spirit will be granted. There is no scriptural evidence to support this approach. For anyone not in the ministry to lay hands on another for the receipt of the Holy Spirit is presumptuous. They may be held accountable because they have possibly led one of God’s precious ones astray – they have possibly led a new person in the faith to believe he or she now has the Spirit of God when the biblical model has not been followed. We must follow the prescribed manner as outlined in the Word of God, then we can have confidence and faith that God will perform what He has promised. God makes the rules, not human beings. In the Scriptures we see that the Holy Spirit is given by the laying on of hands performed by the ministry after repentance has been demonstrated. And God honours that process. He may not honour something He has not ordained. After receiving the Holy Spirit, a person must grow into the fulness of Jesus Christ (Ephesians 4:13), waiting patiently for their spiritual birth into the Kingdom of God (1 Thessalonians 4:16). They will then reign with Christ in His everlasting Kingdom (2 Timothy 2:12, Revelation 20:6), and be with Him forever. 1Thessalonians 4:16 For the Lord himself shall descend from heaven with a shout, with the voice of the archangel, and with the trump of God: and the dead in Christ shall rise first: 17 Then we which are alive and remain shall be caught up together with them in the clouds, to meet the Lord in the air: and so shall we ever be with the Lord. 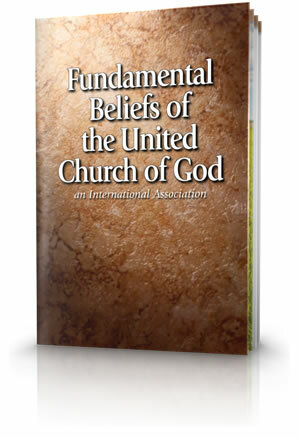 I would recommend five booklets which put together scriptures on aspects of these important subjects. These booklets may be read online, downloaded, or hard copies may be requested (at no cost or follow-up). I trust this information will be helpful in your studies and we wish you well.